This jacket mixes our classic British styling with contemporary Italian flair. 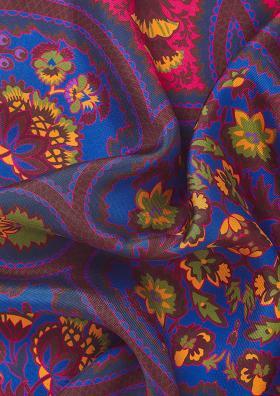 Its fuchsia cloth is made from a luxurious blend of silk and cotton, woven in Italy by Ferla with a rich surface texture. The jacket itself is cut on our signature English single-breasted model with three buttons to fasten, trim notched lapels, and our signature Savile Row ‘two-and-two-spaced’ cuff buttons (working cuffs, naturally). The jacket is half lined to help it breathe. 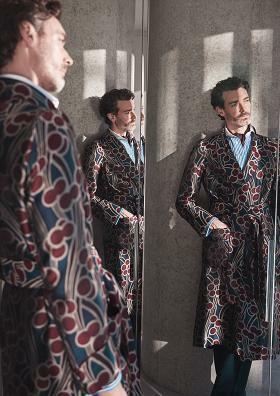 Note that all; the result is a jacket for a gentlemen with impeccable taste. Pair with our pleated mid blue Cowdray linen trousers.